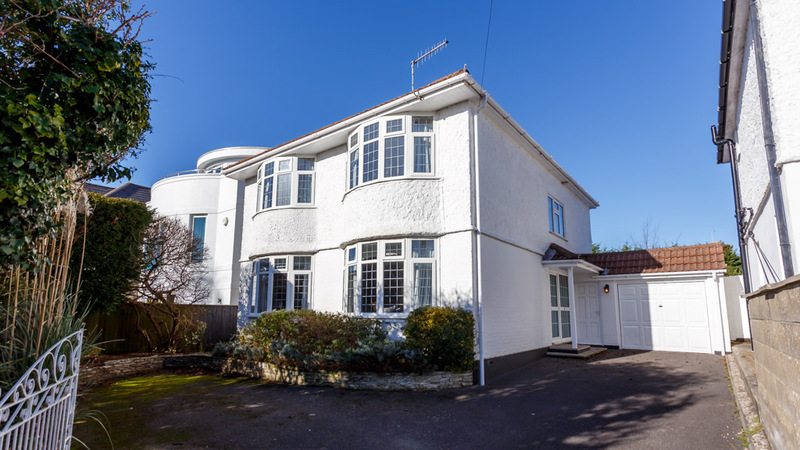 Chine Walk is a modern semi-detached house in Alum Chine. 5 min walk to the fine sandy beach just to the east of Bournemouth. 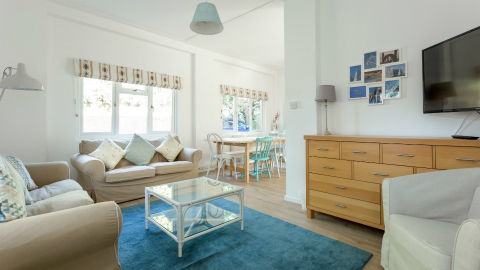 Sleeps 6 in three bedrooms: master king with ensuite, double and a twin room. Family bathroom. Private lawned garden with seating. Parking for two cars. Pets welcome. 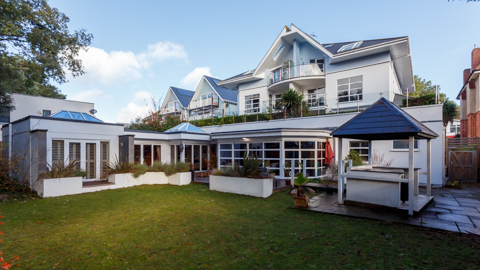 Coral is a modern second floor apartment on the Sandbanks peninsula. 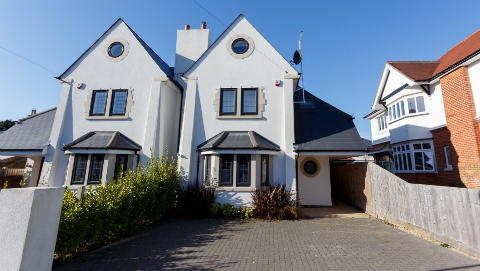 Sleeps 4 in two double bedrooms, with a large walk in shower room and separate WC. Parking. Sorry no pets. 5 Fairwinds is a modern first floor apartment on the Sandbanks peninsula. Sleeps 4 in two bedrooms: a super king master (which can also be made up as a twin) and a double room. Family bathroom with bath and a separate shower cubicle. 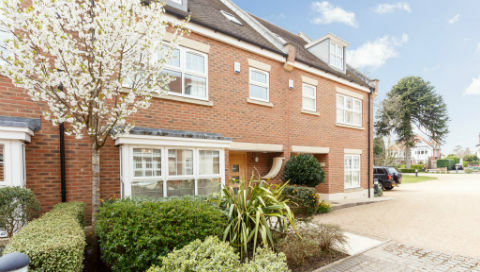 Communal gardens and parking for one car on the driveway. Short stroll to the beach. Pets welcome. 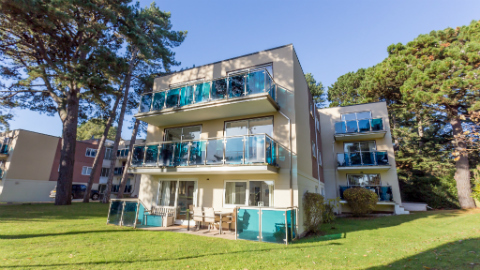 11 Fairwinds is a modern ground floor flat located on Sandbanks peninsula. Sleeps 4 in two bedrooms, with a family bathroom. Lounge has direct access to a patio and communal gardens. One dog by arrangement. Parking. Short stroll to the beach. 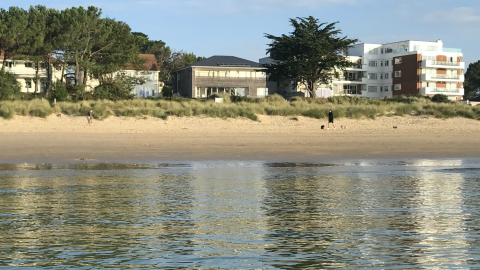 Fourwinds is situated on Sandbanks peninsula just a short walk from the beach and the amenties including cafes, restaurants and watersports. 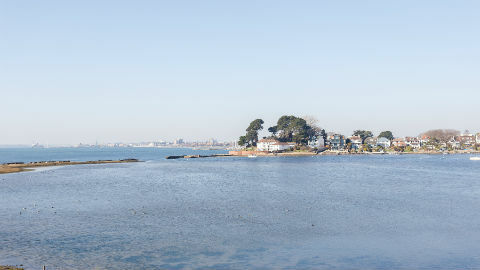 8 Golden Gates is a third floor apartment overlooking Shell Bay and the Purbecks. 3 twin bedrooms, with an ensuite to master. Family bathroom with shower over bath. Spacious balcony with seating. The flat can be accessed by lift or stairs, parking for 3. Sorry no pets. 11 Golden Gates is a first floor apartment. Sleeps 6 in three bedrooms - one king and two twin rooms. Ensuite bathroom with shower over and family bathroom. 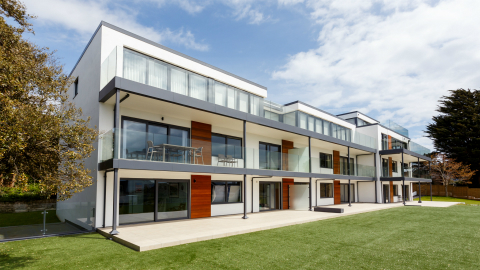 Lift and balcony, with views out to sea and across to the Purbecks. Parking for two cars. Sorry no pets. 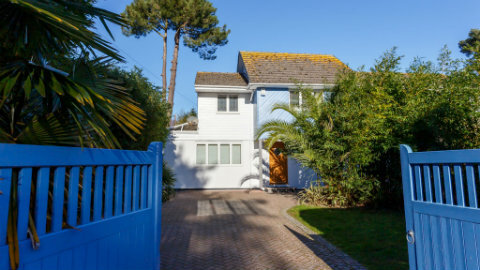 15 Golden Gates is a third floor flat close to the beach, in a block overlooking Shell Bay and out to sea. 3 twin bedrooms. Ensuite and family bathroom. There is a lift and 3 parking spaces. Sorry no pets. 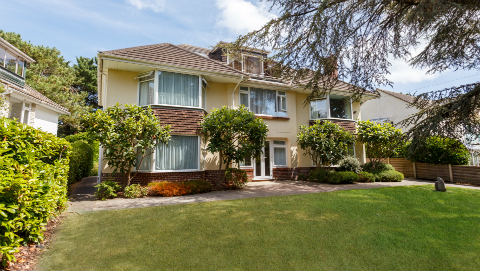 14 Haven Court is a ground floor garden flat sleeping 4 in two bedrooms: one master king and a twin room. Family shower room with large wet room style shower and a separate WC. Private lawned area with seating. There is a lift and garage. Sorry no pets. 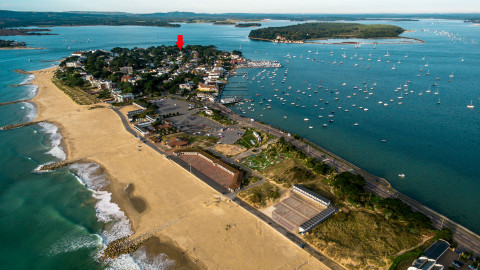 18 Haven Court is in a traditional block of flats on the Sandbanks Peninsula in Poole. Sleeps 4 in two bedrooms: one king and one double. Family bathroom with shower over bath. Very close to beach. On site parking. Sorry no pets. 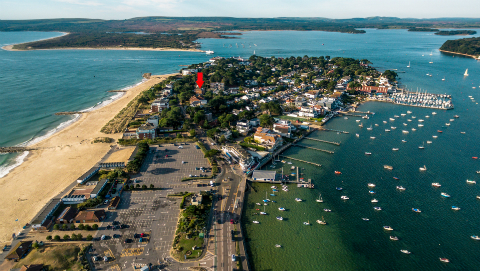 8 Haven Court is a ground floor flat in a popular block on the Sandbanks peninsula, just a short stroll to the beach. Sleeps 5 in two bedrooms: one king with ensuite shower and WC, and one adult bunk bed and a single bed. Family bathroom and separate WC. 2 parking spaces. Sorry no pets. 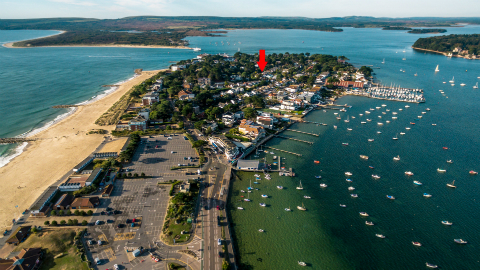 9 Haven Court is a first floor flat in a popular block on the Sandbanks Peninsula. Short stroll to the award winning beach. Two twin rooms. Family shower room and separate WC. Parking for 2 cars. Sorry no pets. 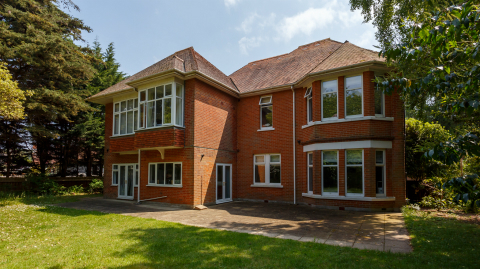 4 Hepworth House is a ground floor apartment situated in the quiet, residential area of Canford Cliffs. Short stroll to the beach. Sleeps 4 in two bedrooms: one double with ensuite shower room and second room with bunk beds. Family bathroom. Patio doors leading to the patio and enclosed lawned garden. Parking for one car. One small pet. 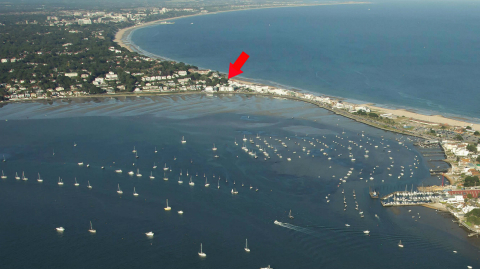 The Hideaway is a modern and bright apartment with direct access to Sandbanks beach. Sleeps 4 in two bedrooms: one double and one twin room. Ensuite to master and family bathroom. On site parking for two cars. Sorry no pets. 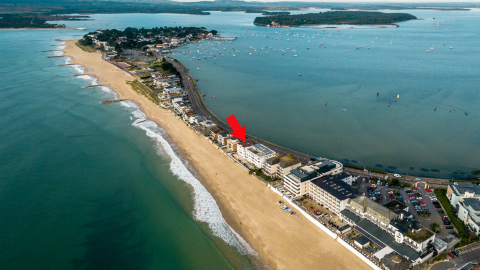 3 Mansard Court is a first floor flat in a block in the heart of the Sandbanks peninsula, just a short walk to the beach. Sleeps 4 in two bedrooms: one king and one twin. Parking for one car. Sorry, no pets. 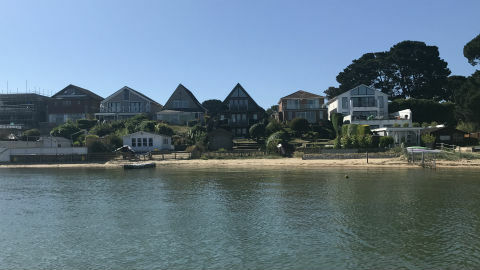 Mariner House is a modern house in the heart of the Sandbanks peninsula, just a short walk to the beach. Sleeps 6 in three bedrooms: master king with ensuite, twin and bunk bedroom. Family bathroom with separate double shower cubicle. 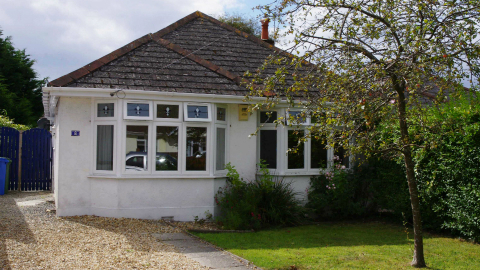 Enclosed garden with lawn and front and decked area to the rear. Outside seating and parking for two cars. Pets welcome. 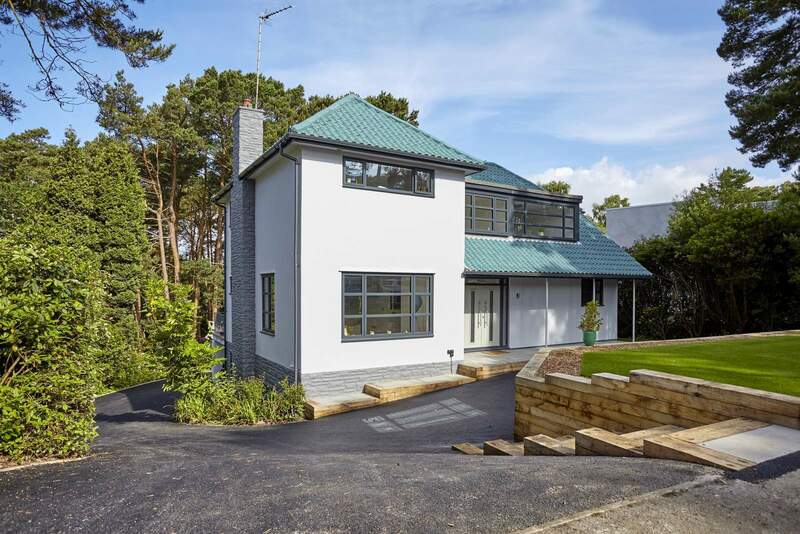 Ovgar Port is a spacious semi-detached house set in a secluded grove of pine trees on the Sandbanks peninsula. Sleeps 6 in three bedrooms: one super king, and two twin rooms. Family bathroom with shower over bath and separate WC. Garden and patio with outside seating. Parking for up to 6 cars. One pet allowed. 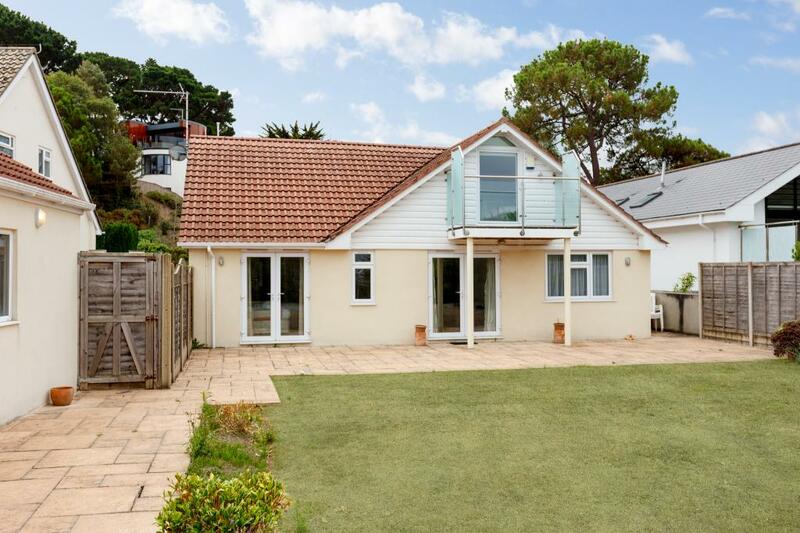 Ovgar Starboard is a spacious semi-detached house in the heart of the Sandbanks peninsula. 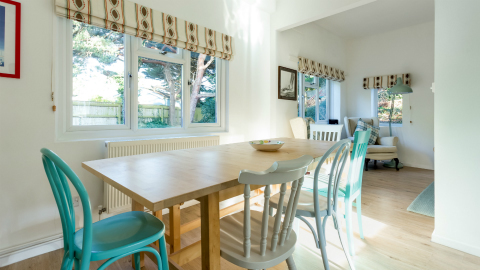 Sleeps 6 in three bedrooms: one super king and two twin bedded rooms. Family bathroom with bath with shower over, separate WC. Garden and decked area with seating for 6. Parking for 5 cars. Pets welcome. 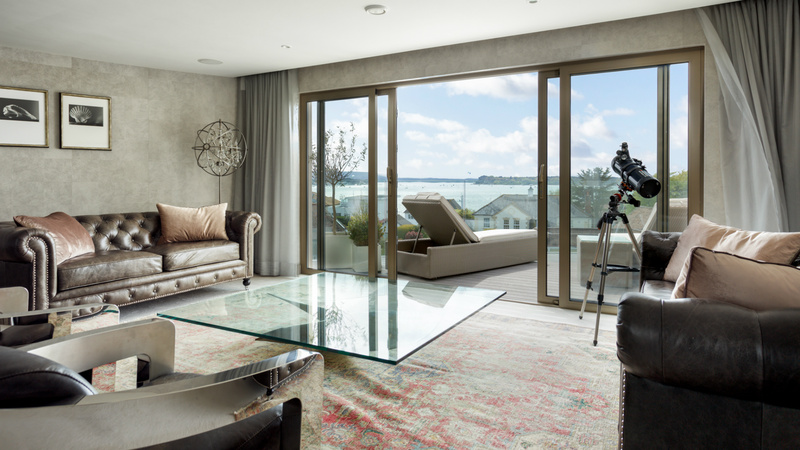 8 Peninsula Court is a modern second floor apartment in a block on the Sandbanks peninsula. Sleeps 4 in two bedrooms: one double and one twin. Ensuite shower room and family bathroom with shower over bath. Balcony and communal garden. Parking for 1 car. Sorry no pets. 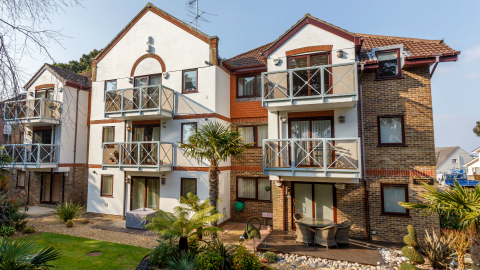 2 Pines View is a modern ground floor apartment in the quiet, residential area of Canford Cliffs. 5 mins walk to the beach or to Canford Cliffs village. Sleeps 5 in master double bedroom with ensuite shower room, bunk bed room and a separate single. Family bathroom. Private garden and communal garden. Parking for one car on the forecourt. Sorry no dogs allowed. 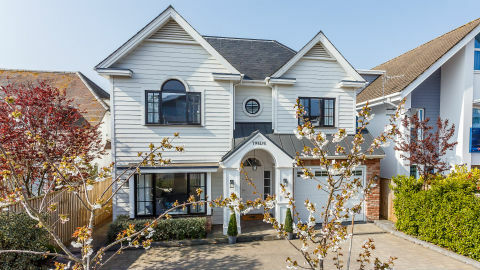 Salterns Rest is a modern and spacious detached home in Lilliput. 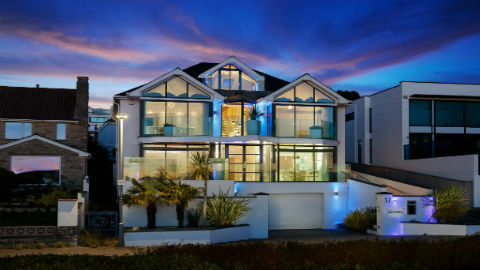 Sleeps 8 in 4 bedrooms: master king with ensuite shower room, two twin bedrooms (one with ensuite) and a double. Family bathroom. Private and spacious rear garden, on which there is a patio with outside seating. Garage and parking for up to 3 cars. Pets welcome. 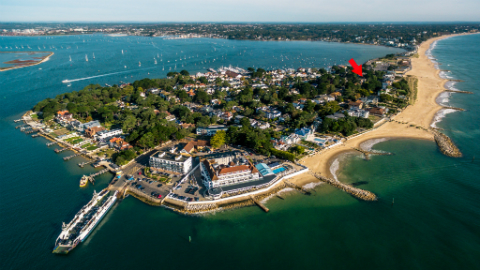 2 Sandhaven Court is a ground floor apartment on the Sandbanks peninsula, just a two minute walk from Sandbanks beach. Sleeps 4 in two bedrooms: one king and one twin. Ensuite bathroom and separate bathroom with walk in shower. Communal gardens. Parking in underground parking area. Sorry, no pets. 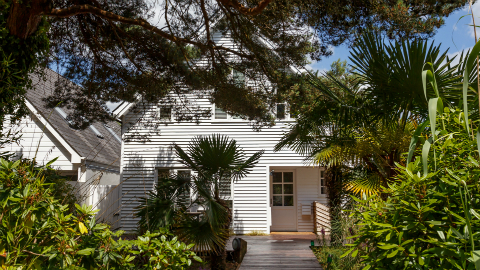 1 Sandhills is a ground floor flat, just a short stroll to the beach. Sleeps 5 in two bedrooms: master king bed and bunk beds and additional single in second bedroom. Communal gardens with patio. Parking for 1 car. Sorry no pets. 3 Sandhills is a first floor flat, just a short stroll from Sandbanks beach. Sleeps 4 in two bedrooms - one king with ensuite and one twin room. Family bathroom. Parking for 1 car. Sorry, no pets. 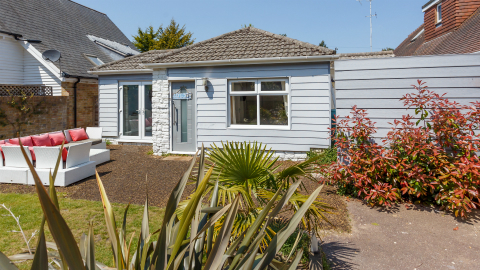 Sandy Feet is a unique chalet style bungalow tucked away on the Sandbanks Peninsula. Short walk to the beach. 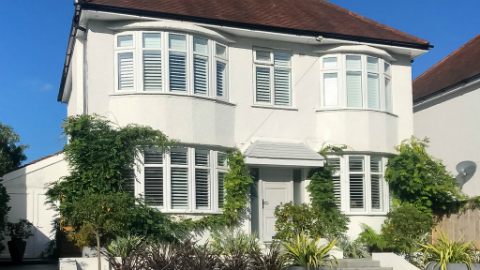 Sleeps 8 in four bedrooms, two of which are on the ground floor with a bathroom and the remaining two upstairs with a bathroom. Garden and parking for three cars. Pets welcome. 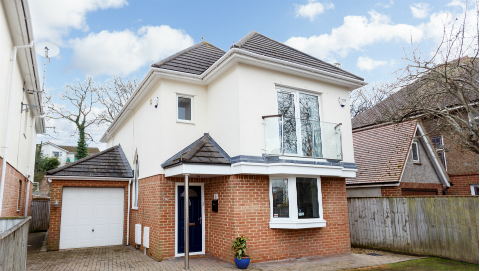 Sandy Retreat is a modern townhouse situated in Lower Parkstone. Accommodation is arranged over 3 floors. Sleeps 5 in three bedrooms: one king, one double and a single room. 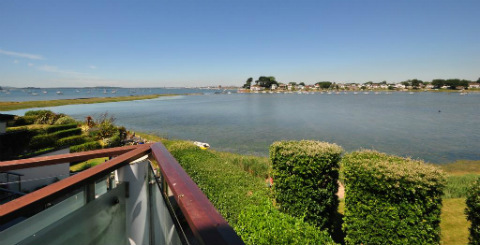 Balcony with views over Poole Harbour. Bath/shower room ensuite to master with Jack and Jill bathroom to the other two bedrooms. A beautiful spiral staircase links all four floors. Courtyard and terrace. Underground parking for 2 cars. Sorry, no dogs allowed. 3 Santoy is a first-floor apartment with uninterrupted views out to sea and direct beach access. Sleeps 6 in three bedrooms: two doubles and a bunk room. Two bathrooms both with baths and over bath showers. Forecourt parking for one car. Sorry, no pets. 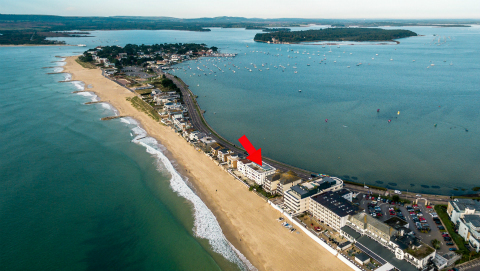 8 Santoy is a first-floor flat with dual aspect views over Poole Harbour and Sandbanks beach. 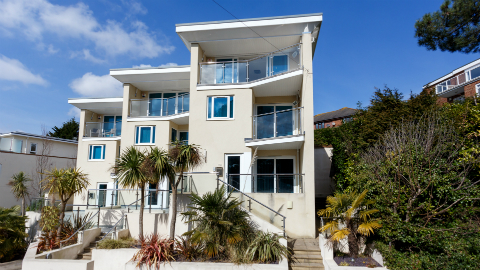 Sleeps 4 in two twin rooms, both with access to balconies. Bathroom with shower over bath and WC, and separate shower room and WC. Forecourt parking for one car. Pets welcome. 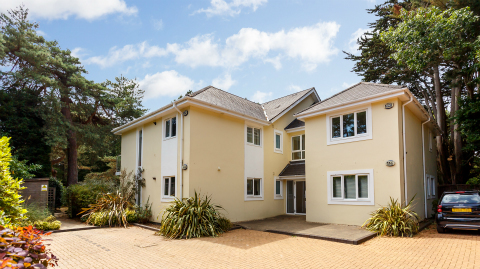 A spacious and modern 3 bedroom, 3 bathroom garden apartment on the prestigious Sandbanks peninsula, ideal for families or small groups of adults. 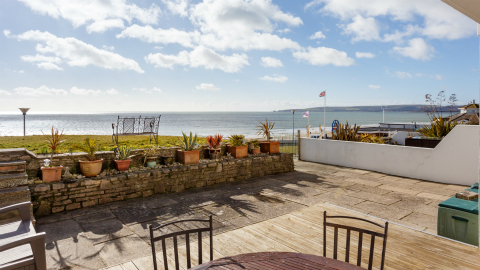 It has a large and private garden and is only a couple of minutes walk to award-winning sandy beaches and to the chain ferry which can be taken by car or foot over to the beautiful Isle of Purbeck and rolling Dorset countryside. 2 parking spaces. Sorry, no dogs allowed. 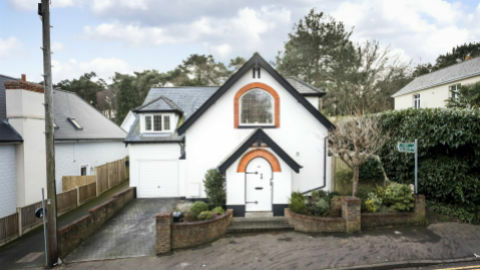 The Upside Down House is a unique, harbour fronting, Scandinavian, detached house. 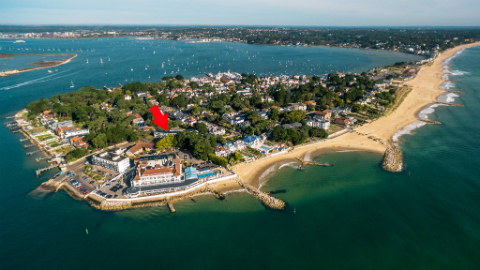 Sleeps 10 in five bedrooms: emperor master bed with ensuite bathroom with a separate double walk-in shower, double bedroom, twin bedroom and a bunk bedroom. There are two family bathrooms. The top floor has the open plan living area with kitchen. Parking and lawned garden with gentle steps down to the shoreline. Sorry, no pets. 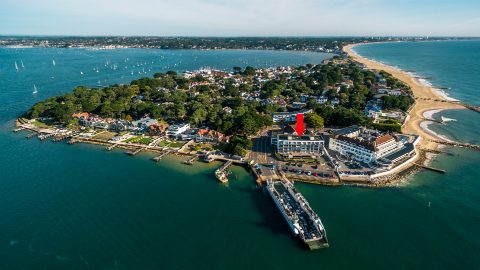 6 Utopia is a spacious penthouse apartment right on the beach in Sandbanks, with spectacular 180 degree sea views from The Isle of Wight to Old Harry on one side and over Poole Harbour on the other. 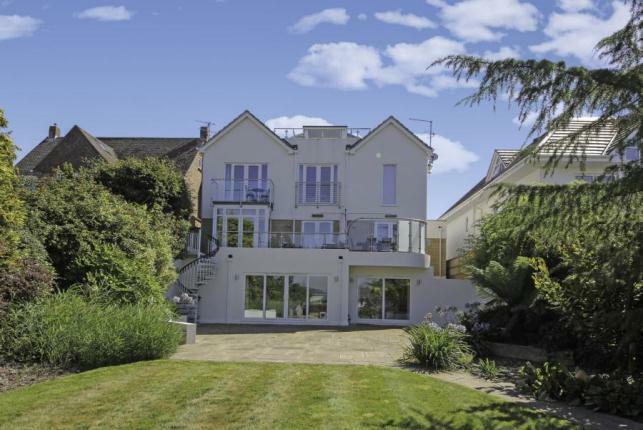 Sleeps 8, in 4 bedrooms with 3 balconies round the property and an open plan living, dining and kitchen area. Parking for one car and one pet welcome. 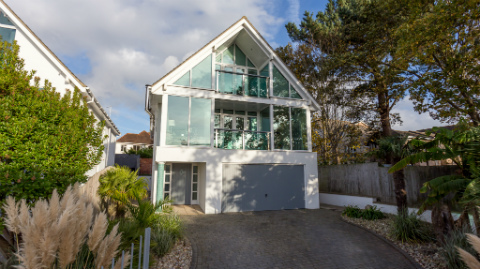 Waves is a stunning, glass fronted home that has been beautifully decorated with a fresh contemporary style, just a stone's throw from the eight miles of sandy blue flag beaches of Sandbanks. 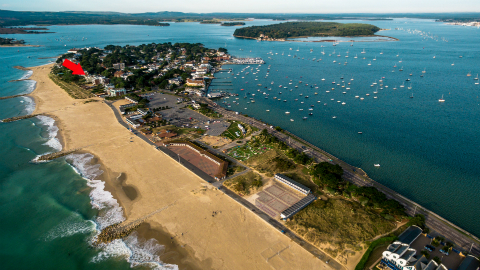 Panoramic views over Poole Harbour and Brownsea Island. 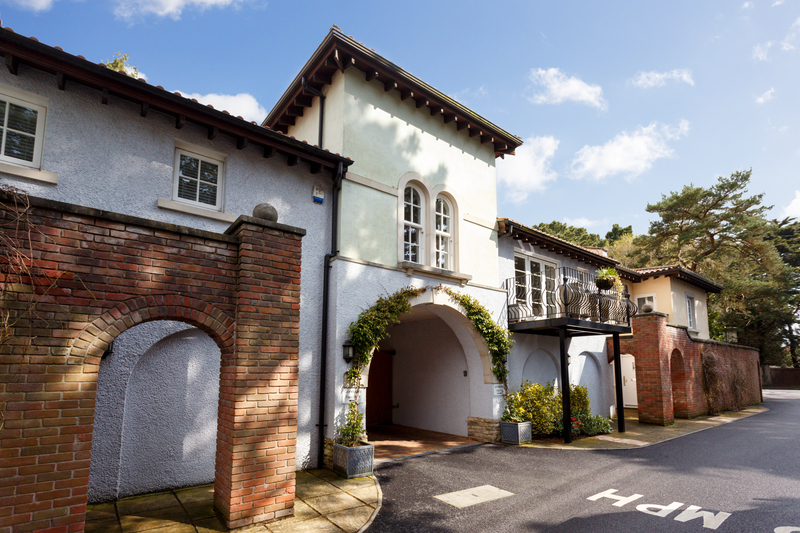 Offers luxury accommodation over four floors for eight people. Parking for 4 cars. Pets allowed. 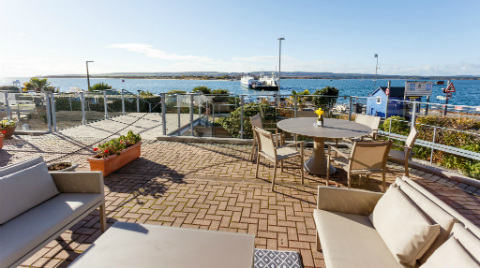 3 Wykeham Lodge is a modern apartment in an elevated position overlooking Poole Harbour, within walking distance to Canford Cliffs village with shops and bars. Sleeps 6 in three bedrooms: one super king, one king and one double. Two bathrooms. Lift and parking for two cars. Sorry, no pets.